It is so funny to think that only a few months ago, I really had no major race plans for 2015. Even in late August the only race that I was signed up for in 2015 was the RNR Seattle half marathon. What is funny is that I am a planner of my race calendar, not just for the next year but for a few years down the road. I set up my goal races, something big and of course travel needs to be a part of it. But for whatever the reason, races for 2015 were not jumping out at me. I am a person who gets an idea (or a race) into her head, and I run with it literally. Feb: Vancouver First Half Marathon 2015 will be my first time running this race. I went down with 2 friends in 2014 and was their cheerleader, and I also cheered for all those that ran passed me with a friend that I ran into at the start line. It was so much fun seeing other friends racing this race. If you have never gone to a race to cheer for a friend or that random stranger, I highly recommend it as a must do on that list of things to do. March: West Van 10km this will be my second year running this race. 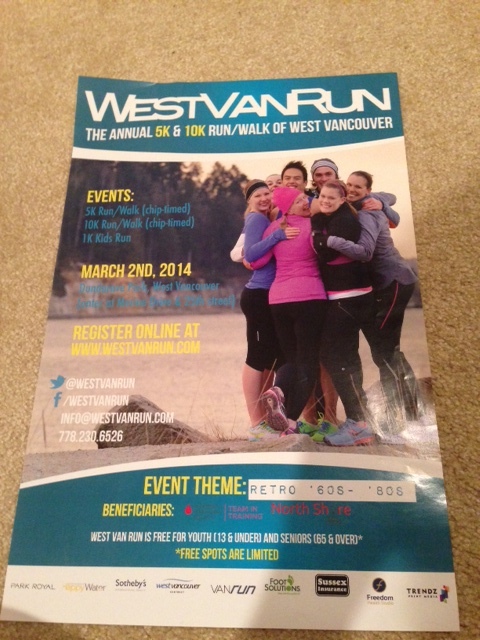 Last year 9 friends including me entered a contest “I want to be West Van Famous” and we all ended up on the race brochures. It was really exciting and fun and I made a few more great friends that chilly (-13 C) morning out there on the seawall in West Vancouver. LA Marathon This is my do-over year to run a fun race pain-free. I am aiming for a 4:30 finish time but will be happy with anything under a 4:45 or whatever as long as I am not injured and the temperature doesn’t go above 75 F. This past year (2014) the day had record-breaking temperatures for the race of over 80 F.
April: SoCal Ragnar Relay Race This race has been on my list of “I want to do this, how cool will that be” kind of race. Still with 5 months to go, I’m not having any cold feet or any regrets. May: BMO full or the RNR in San Diego are the races that I am thinking about doing. My thought last month, or maybe even up to 2 weeks ago was to run BMO full marathon 7 weeks after running LA Marathon. Then yesterday happened with the amazing cheap one day sale on races with the Rock n Roll Series. As I wanted to go back to Vegas and run the RNR race there. Social media would be what I would like to blame on this one, as it was just this past weekend that the RNR Las Vegas took place and I had a few friends that were running and or participating in the either the marathon or the half marathon. Twitter was going crazy with tweets of the race weekend. So it was on my mind and I wanted to go back and run it as Vegas is such a fun city and I have an awesome friend there. Back on track here, I ended up purchasing the 3 pack tour pass for the RNR races for $199 which gives me 3 races in the next year. So that is where San Diego comes as an interest. I have a few friends that live there and it would be awesome to head down for the weekend and toss in a half marathon, then come home. August: Sea Wheeze half marathon is right in the middle of August (it will be another hot race weekend). This is such a fun race to do, from the scenic course to the entertainment to all the festivities before, during and after the race. This really is a must do race once if you are able to go. It sells out extremely fast, but it really is worth it. Right down to the expo which is all Lulu lemon clothing. This clothing is limited to the event and it is made very special and you are not able to buy it in their stores or online (unless you want to pay even more than an arm and a leg) on Craigslist. October: RNR Vancouver I was so excited when I found out that RNR was coming to Vancouver. 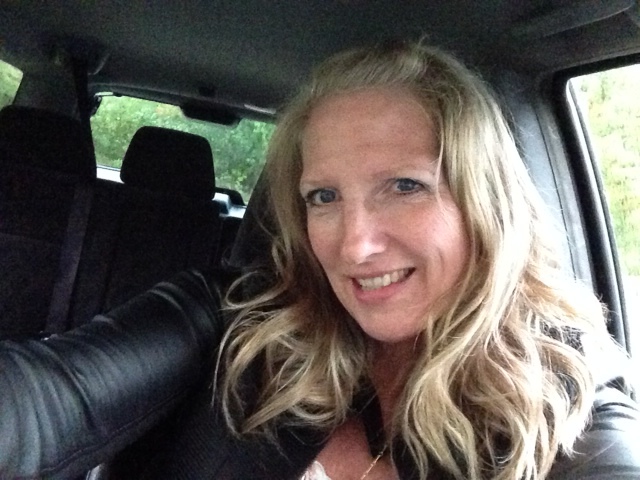 I ran it this year (2014) and I had such an amazing time with good friends, on the car ride down to Vancouver, to getting dressed in the nice and warm underground parking garage (it really was warm). Meeting 2 amazing gals in the parking garage also (this is another story, on friendships that I have found on race days). The course was lovely, there wasn’t a part of the course that I disliked. From start to finish it exceeded my expectations. I am so happy that I signed up at the expo and that I am racing again. Bonus is this race is pretty much a home town race (can you count driving 55 minutes a hometown race?). November: RNR Las Vegas (Baby) I love this race! I have a friend that lives in Vegas and the funny thing is we meet after running the RNR Arizona half marathon in 2012 at the airport. My friends and I were waiting to check in at the airport, and so was David. I just started talking with him about the race and how fun it was, asking him where he was from, the normal questions that you ask that random stranger in an airport. We hit it off right away and we exchanged our twitter user names as we were heading to our different boarding gates. I was super excited to hear about all of his RNR races that he had planned for the year. He was racing in at least 10 RNR races, either half marathons or full marathons that year. We found out that we were both running RNR LA in October 2012. And we ended up staying at the same hotel and running the race together. Running really has helped me open up and given me that confidence to speak with random strangers who then become extremely close friends and social media has really played a big part in my circle of friends. I am thinking that it mostly has to do with having that common interest in running, that passion and that love of the sport and that racing high that we all get after we have crossed that finish line. So with the above races for 2015 I will be a very busy gal with running, traveling and of course cross training for these races. I need to be strong to run this many race’s in a year and I really want 2015 to be a year that is free of injuries. I am pretty excited that I have lots of fun destination races planned and book. What excites me even more is the new friends that will come with all my races and social media. I am over the moon with excitement that I will also be writing here about all my training runs and all the new friends that I meet along the way, as well as my experience and thoughts of the running expo’s that I attend at each race. I will also be writing race reports of the above races in 2015. I love to hear what races you have planned for 2015?